Specific information on accessibility available! EN – More and specific information, that’s what people with disabilities need the most when planning a trip. 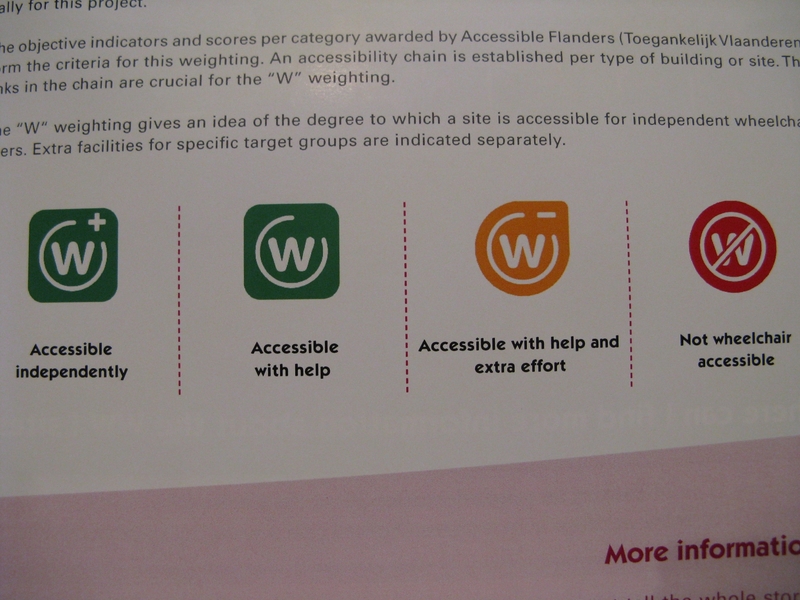 A whole team of colleagues from Visit Flanders and experts has been working on accessibility issues, screening all major points of interest, information offices, accommodations, restaurants, pubs, transport services etc. All this information is compiled in this dedicated brochure on accessible travel to Flanders Fields. Still more information can be found on http://www.accessinfo.be/index.php?L=3&id=890. We’re heading for World Travel Market (WTM) to invite the world to commemorate WW1 with us in Flanders. And we mean: the world. Commemorating should be accessible for all. Op World Travel Market (WTM) komen we de wereld uitnodigen om de Eerste Wereldoorlog bij ons in Vlaanderen te herdenken. En we bedoelen: de wereld. Herdenken moet toegankelijk zijn voor iedereen.